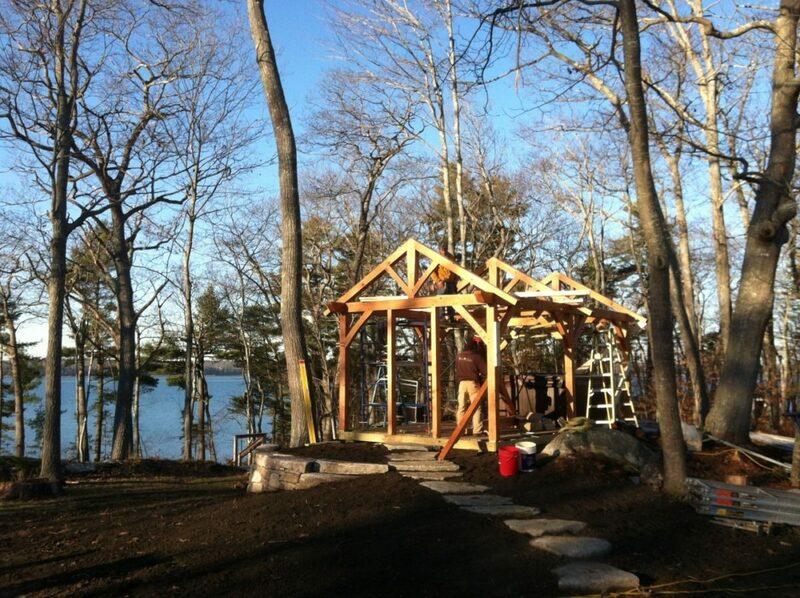 Sweet little timber frame pavilion for a ocean-side hot tub. In collaboration with Adrian Bossi of Swell Construction. Doug Fir timbers with tapered king posts, sheathed in pickled pine shiplap. On Mere Point, Brunswick, Maine with a view over Maquoit Bay. I haven’t used it myself but I hear it is a special place for a good hot soak! Posted in Design Portfolio Post and Beam Timber Frame and tagged with benco Mere Point Hot Tub Pavilion timber frames .